SKU: GE0000293. Category: Addressable Panel. 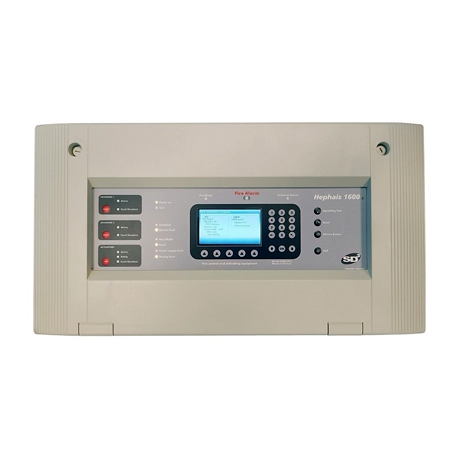 HEPHAIS 1600 COMFORT is a MODULAR INTELLIGENT/INTERACTIVE FIRE CONTROL PANEL able to manage a maximum of 1600 addresses, on a maximum of 10 LOOPS(expandable up to 4 x MG2B (loop boards). • Operating relative humidity / Storage relative humidity: ≤ 93% R.H./ ≤ 80% R.H.